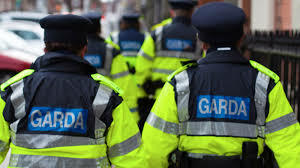 Martin Heydon Fine Gael TD for Kildare South is encouraging anyone with an interest in joining An Garda Siochana to apply for one of 600 new positions now available. Applications are now being accepted on www.publicjobs.ie until 5th January 2016. “The Minister for Justice and Equality, Frances Fitzgerald, today (Friday) announced the opening of a recruitment campaign for new members of An Garda Síochána in 2016. The 600 new Gardaí, to be recruited next year, will bring to 1,150 the total number of new recruits since the reopening of Templemore in September 2014. “So far 295 new recruits have completed their training and are now are on the ground in communities nationwide as fully fledged members of An Garda Síochána. It is expected that successful candidates from the 2016 campaign will enter the Garda College from mid-2016. “The ongoing recruitment of Gardaí is testament to this Government’s commitment to supporting An Garda Síochána and to ensuring that they have to resources necessary to protect our communities. “This Government has reopened Templemore after it was closed by the previous Government; €46 million has been allocated for Garda vehicles, many of which will be high-power vehicles for targeted operations; €18 million is being provided for the refurbishment of Garda stations and €205 million has been invested in new technology for An Garda Síochána This is part of an unprecedented allocation of €875 million in capital funding for the Justice sector. “We know that 75% of burglaries are carried out by 25% of criminals so Minister Fitzgerald has published the Criminal Justice (Burglary of Dwellings) Bill, which will mean tougher sentences for repeat burglars and she has launched Operation Thor to tackle rural crime.